Validata Group is the leader in Enterprise Software Testing solutions, helping clients build competitive advantage, maximise the speed of implementations & upgrades and improve time-to-market for new releases. By maximising the potential of their core banking applications, banks can deliver financial services with greater agility and with a more responsive model. 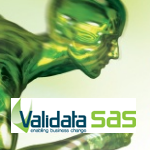 Validata SAS is a central suite for integrated tools, agnostic of any platform, database, UI & APIs, supporting end-to-end automated testing, legacy migration, configuration management and DevOps Analytics with built-in ALM model and reusable assets, suited to large scale integration, packaged upgrades and legacy migrations. An innovative automated testing framework for testing of SWIFT, ATM, SOA and generic interfaces. 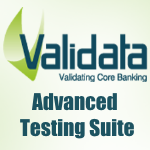 Validata MSG provides an innovative automated testing framework for testing of SWIFT, ATM, SOA and generic interfaces to reduce the effort and simplify the integration testing phase of projects. End-to-end scenarios can be developed and tested in many levels, from ensuring file formatting, data content and behavior of sending/receiving application. Validata MSG will allow for scenarios to test transactions initiated in one system are entered correctly, that messages for onward delivery are formatted correctly and accurate, that the receiving system processes the information correctly, that messages are returned if necessary etc.